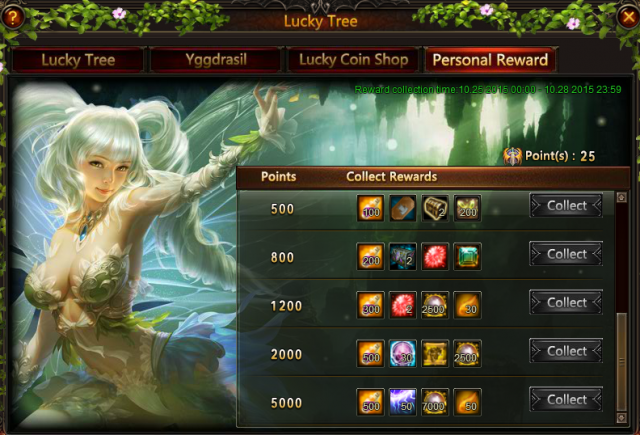 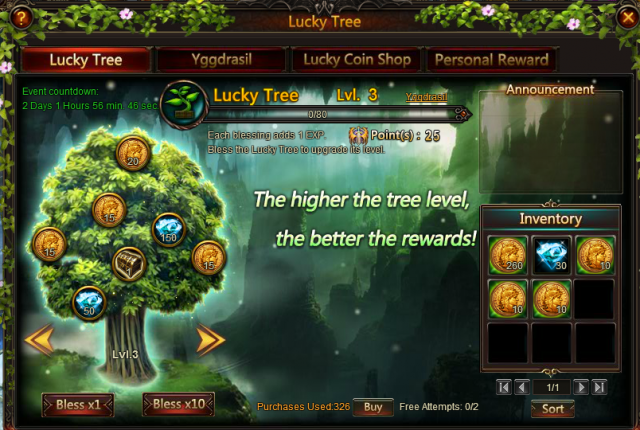 Use your Lucky Coins to buy stunning Artifacts, Angels, Mounts, Gems, Sylphs, Skill Books, and many other resources. 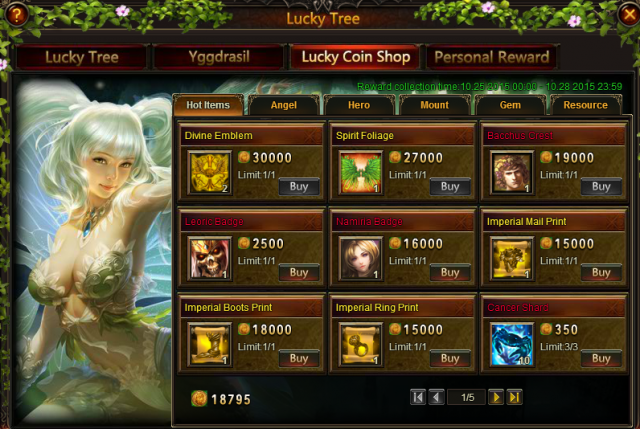 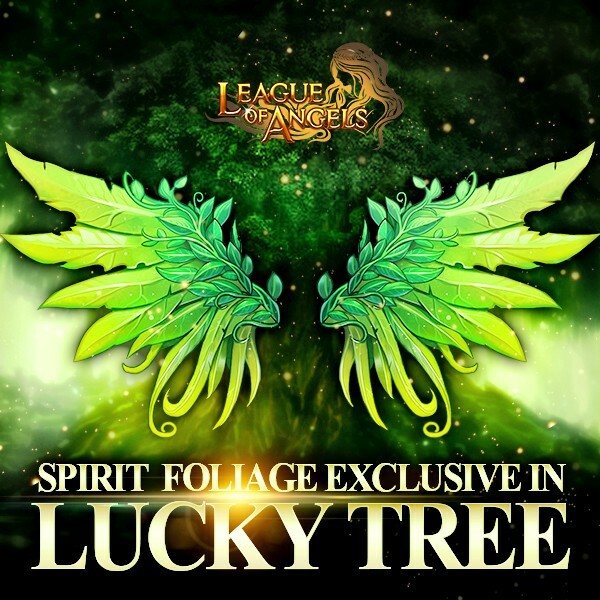 This time, Spirit Foliage, Bacchus, Purgatory Soul, Ice Totem (Topaz), Divine Emblem,Twilight Mirror(Garnet), Aphrodite's Awakening Stone, Shield of Discord, Heaven's Melody( new angel artifact), Varda's Awakening Stone, Celestial King, and Azul Wolf, are now available in Lucky Coin Shop. 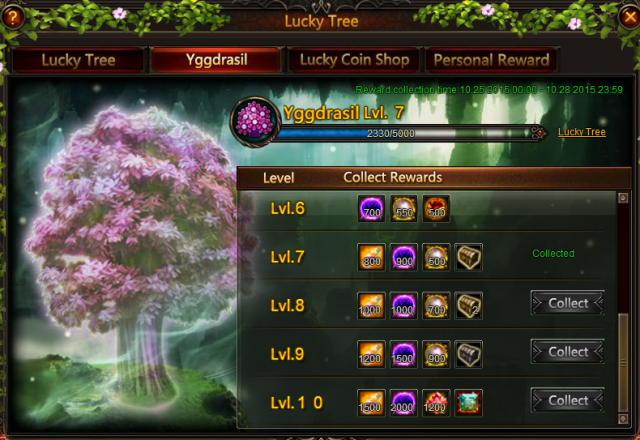 More exciting events are coming up through Oct 25 to Oct 28 (Server time), check them out in the in-game Hot Events menu now!